So I do not wash mini twists anymore because my hair would tangle and break off. However, I make sure that products do not get on my scalp to avoid build-up. 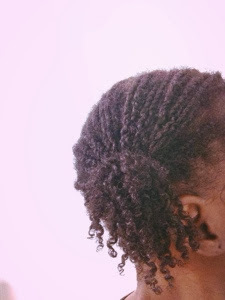 One thing I do to prevent breakage as much as possible is stretching the twists. My hair is long enough to gather my mini twists in two ponytails. Once I place my hair in two ponytails, I just spray the ends only with aloe Vera juice and water. Then I seal only the ends with either a moisture-based conditioner or protein- based conditioner. I alternate between the two types of conditioner every week. I do not use oil or butter to seal as those will weigh my hair down. I also spray aloe Vera juice and water around my edges and seal with castor oil and Nubian heritage anti breakage edge taming cream. 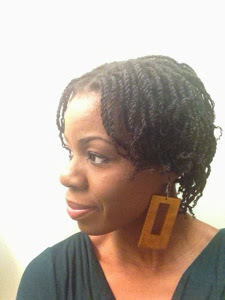 I usually get a crinkled-like texture on my mini twists when I take the braids down. 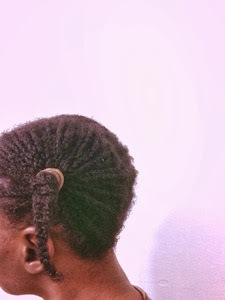 Sometimes I roller set my twists to make them look fuller. The main thing is I do net wet them. I only moisturize the ends regularly, like every other day. However, once a week, I do not use a shower cap, when I am taking a shower. 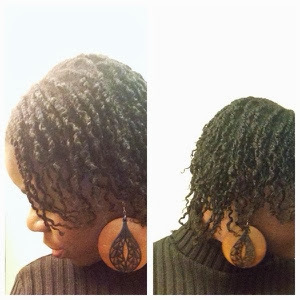 I let the steam from the shower gently moisturize the entire twists (without letting water directly touch my hair). My hair is in two pony tails when it is getting steamed. This minimizes frizz from the steam. I follow that with a gentle squeeze of a creamy moisturizer into my twists to seal the moisture. I squeeze as opposed to rubbing to avoid handling my hair roughly and that, to some extent, prevents frizzing.